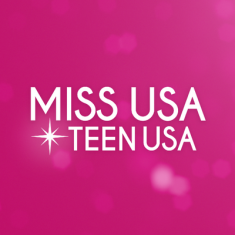 QUICK JUMP: Contestants Pageant Information How to compete in Miss USA & Teen USA 1994? The Miss Teen USA 1994 pageant ended with Shauna Gambill winning the title of Miss Teen USA 1994! Miss Teen USA 1994 took place at Mississippi Gulf Coast Coliseum, Biloxi, Mississippi on August 16, 1994. Mary Elizabeth Stevenson won Miss Congeniality. Anjelie Eldredge won Miss Photogenic. Shauna Gambill won Best in Swimsuit. Denise Fisher won Minolta Photo Contest. The Miss USA 1994 pageant ended with Lu Parker winning the title of Miss USA 1994 and getting the opportunity to advance to the Miss Universe 1994 pageant! Denise White who won Miss Congeniality. Patricia Southall who won Miss Photogenic.